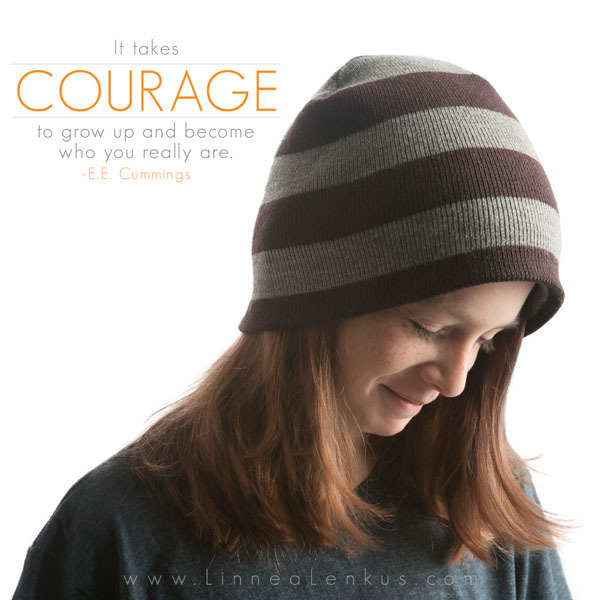 Go ahead and share this inspirational quote about being yourself, about having courage, about not following the pack. ee cummings lived that life through his poetry and even though his words were written in the last century they live on through truth that resonates with every person. Linnea photographed this preteen boy and also photographed him as a baby. He’s a true individual who is not afraid of being his own person, of breaking away from the crowd. When Linnea photographs anyone she tries to see who they are and what road they are on. This kid likes to wear this cap and grow his hair long. He doesn’t care what people think and Linnea caught his wisdom and self-preservation in this image. Linnea Lenkus has been a photographer for well over two decades. She specializes in studio photography and is a lighting expert, knowing how to create a mood with light and shadow. She aims to try to find out who stands before her and capture that simple moment.